So, after many prompts from family and friends I have finally launched my photography website and service. Now, a few weeks after launch, I am listening to the satisfying clickety-clack of a mechanical keyboard as I attempt to explain my journey to this point and the road ahead. This is my first ever blog post so buckle in! A time when hair was plentiful. My journey started at the tender age of two. While walking down the pier in Bangor with my Dad I caught one of my first glimpses of a camera. At two I had no idea what a camera was, let alone what it was capable of producing, yet there was clearly something intriguing about the object slung over my Dad's shoulder. It wasn't long before I was pestering him to use it! My parents tell me that I was a curious child and a little hyperactive; back then I didn't need an espresso to wake me up! Most likely my Dad handed me the camera as a tactic to keep me in one place, rather than clairvoyance that it would lead me to this point. With the camera in two hands I positioned myself opposite my Dad, my back facing the unguarded drop to the water below (parenting 101). With a click of the shutter button I had taken picture #1 (out of how many time will tell!). My first piece of work clearly wasn't going to win any awards for street photography but it was at least exposed correctly (kind of). Looking back, I'm not sure my eye was quite ready for the big time or maybe the big time wasn't ready for my eye; either way my presence in the Northern Ireland photography scene went unnoticed. There would be no child prodigy photographer. My first ever photograph. 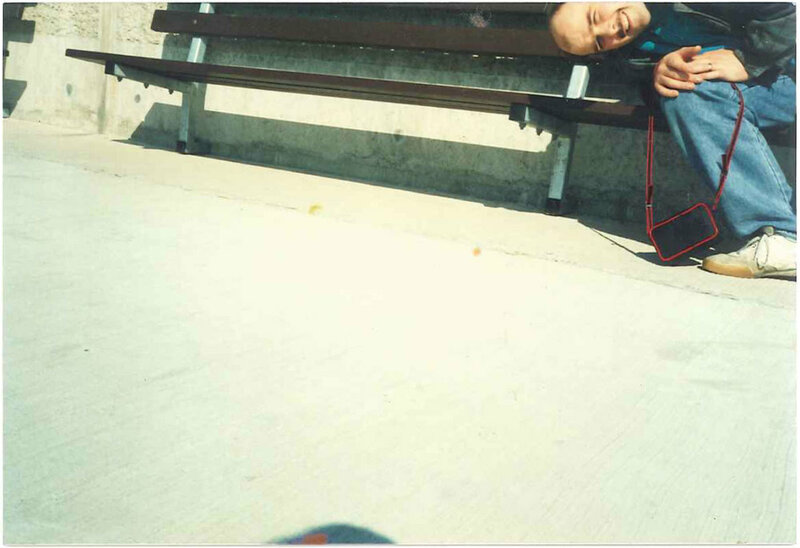 Taken with a Canon camera in 1989 at the pier in Bangor, Northern Ireland. The experience must have left an impression on me. In the years that followed it would not be uncommon to hear me pestering my Dad for his camera, especially at family events. I was often seen running around precariously balancing an SLR at eye level. It was twelve years after my first photograph before I was able to buy my own camera and my Dad could relax a little. At 16 I had a little birthday money saved and I spent it on a Panasonic pocket camera. It was a terrible camera but it served its purpose for a couple of years! Between the ages of 16 and 26 my interest in photography dwindled and my focus shifted to school, rugby, university, and ultimately work. However, after settling into my first job after university my focus slowly started to move back to photography as modern smartphone cameras started to evolve into capable photography tools. My interest escalated when I bought the HTC M7 smartphone, but not in the way you might expect. The HTC M7 was renowned for having a dismal camera. HTC's UltraPixel™ technology was supposed to improve low light performance but I found this was to the detriment of image quality in all lighting conditions. I also thought the lens produced soft, low contrast images, and often low light scenes were cast in a pink hue. Chase Jarvis is famously quoted as saying that "the best camera is the one you have with you", he clearly never used an M7. I wanted better image quality so I decided to pursue a dedicated camera. 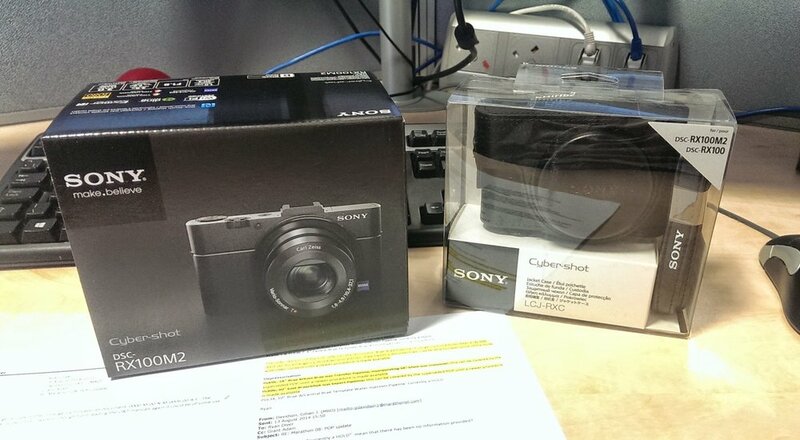 After some typically thorough research I settled on my sidekick: the Sony RX100M2. It's 1" sensor and Carl Zeiss lens produced results I had never experienced with a smartphone or indeed any previous camera. The depth of field, sharpness, contrast, and dynamic range all blew me away. I was hooked. That little RX100M2 hardly left my side. Photography was back in my life and this time for good. My first camera since the age of 16. Bought in August 2014, the incredible Sony RX100M2 got me addicted to photography. The RX100M2 was a gateway drug. It has since found a new home in Scotland but my addiction to the art and its tools had taken its grip. I have since curated a collection of exceptional cameras and lenses which I try to use every day - weather permitting! Wind the clock forward 3 years and I feel I can begin to call myself a soon-to-be-prospective-professional-photographer-in-waiting. When I'm with my camera I feel at home but what exactly has me hooked? The answer is two-fold: the technical details and the feeling. Let's start with the technical details. For those who don't know me I am a chartered engineer by profession and have spent many years practicing the science. Both my interest in how things work and my passion for solving complex problems have kept me engaged for years (I'm a nerd, what can I say). It's no surprise then that when I pick up a camera my inner engineer kicks in. Taking an image requires careful consideration of composition and light. One is required to consider the scene in front of them and find the right angle and exposure to satisfy the artistic intent. Getting into position and tweaking aperture, shutter speed and ISO (the three controls for exposure) is an exercise in technical knowledge and precision; what engineer doesn't love that? So, what about the feeling? When the perfect moment is accompanied by the satisfying click of a shutter and the resulting image brings people to laughter, tears or silence, the feeling of satisfaction is hard to replicate. This is what I experience with photography and it's why I keep doing it. What I have said might sound self-centred but it's actually the exact opposite. I take images because I want people to enjoy them. I want timeless moments to be captured and enjoyed forever. I strive to trigger an emotion with my work and the satisfaction for me is purely from a sense of achievement; the knowledge that I have succeeded in delivering a special memory for someone. This photo of my wife and brother-in-law never ceases to bring a smile to our family. This is why I do it. The picture above of my wife and brother-in-law does a lot to demonstrate both aspects of technical detail and feeling. It's also one of my favourite photographs so I always try to find an excuse to share it! This photograph was taken at Seapark in Holywood, Co. Down. My wife's brother was visiting from South Africa and she asked me to do a shoot of the two of them together. My wife wanted her brother to bring some photographs of the two of them back to their father, halfway across the world. As the sun set behind Cave Hill a warm glow rose over Belfast and the surrounding landscape, topped in a deep blue sky scattered with soft wisps of white cloud. The scene was set and I knew it. This was a unicorn moment, one which may never present itself again. I got my camera ready and issued the instruction: JUMP! The resulting image took our breath away. The camera had frozen two people mid-air and the lens had rendered the colours in the sky beautifully. The focus and shutter speed were perfect, producing a tac-sharp edge around their silhouettes, making them pop out of the scene. The technical details had worked. The smiles this image has brought to our family and friends since always conjures that feeling of satisfaction within me. I have given something special to them, something to look upon and admire forever. If you have browsed my website you may have seen a list of services I provide, these are the focus of my future in photography. To date a large percentage of my photography has been working with friends, family, pets, or out on the streets. I have rarely shared my journey with the public. Yet, as mentioned earlier, a large reason for doing photography is my desire to produce memorable work for others to enjoy. It is time that I open this up to everyone. My first insight in to what this sort of future may be like was when I shot a very special event in July 2017 for a family in Carrickfergus. This family was incredible to work with and being able to help them document a particularly special day was unbelievably rewarding. The smiles on their faces when they saw the final prints and photo album was incredibly touching. I hope to have many more experiences like this. However, although I plan to make photography a profession, I will continue to carry a camera with me for personal use (predominately the venerable Leica Q) and update my Instagram account with shots from wherever I happen to be in the world! Events are one of my favourite types of environment. They offer such variety in shooting styles: candid environmental portraits, classic portraits, detail shots, and intimate moments. But events are hard work, there are expectations to meet and so many moments occurring in quick succession that one must keep a keen eye out for those particularly special ones. The shoot in Carrickfergus certainly kept me on my toes and had me running around all evening but I wouldn't have changed it for the world. I now know this is what I want to do. I have come a long way from that two-year-old standing on the pier in Bangor. My journey through photography has been an amazing one. Now, after nearly 4 years as a photography enthusiast, I am approaching the focal point of my experience, ambition, training, and craft, and I now feel ready to step-up and meet as many new people as I can in this short life. My goal: to make sure their special moments are captured and enjoyed for generations to come. If I can make at least one person smile along the way then the journey was worth it. If you haven't booked your venue yet, don't worry, an approximate date is fine for now. Please include as much detail about your wedding day as possible. So, you’re ready to take the plunge and create some amazing photographs! I will follow up soon with my price list.